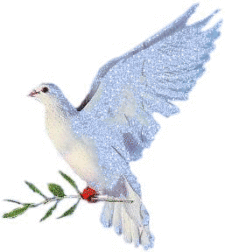 Funeral Service Tuesday, May 29, 2018 10:30 A.M.
Lucille V. Burkholder was born April 4, 1921 in Millerton, Nebraska to August and Ruth (Fadschild) Ladwig. She attended Garrison, Nebraska grade school and graduated in 1938 from Octavia high school. Lucille attended Midland College for two years and then worked at the Nebraska Employment office in Columbus. Later she worked at the Mead Ordnance plant as a secretary. Lucille married John G. Burkholder on February 23, 1943 in Shreveport, Louisiana where he was stationed with the Air Force. After John’s discharge they lived and farmed near Bellwood, Nebraska. After raising their family, Lucille worked for many years for Social Services in David City, Schuyler and Columbus offices. John passed away in 1982 and Lucille remained on the farm until her move to Schuyler in 1997. She loved nature, her flowers, birds and especially time spent with her family. 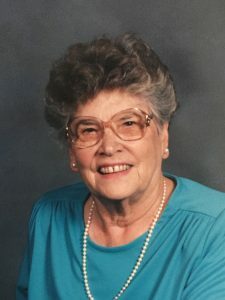 She was a member of St. John’s Lutheran Church, Ladies Aid and enjoyed helping with quilting for the Lutheran World relief. Lucille is survived by her daughter Sharon (John) Sobota, Schuyler, three sons: Gary (Maggie) Burkholder, Yutan, Kent (Debra) Burkholder, Omaha, Vaughn (Beth) Burkholder, Leawood, Kansas. Eight grandchildren, 15 great-grandchildren, and six great-great-grandchildren and many nieces and nephews. She was preceded in death by husband John, parents August and Ruth Ladwig, and sister Ella DeBaets Hamata. Family wishes to extend their gratitude to the staff at Schuyler Care and Rehab and Aseracare Hospice for their care and service.